Did anyone else get goosebumps when she said Rod Rosenstein? Awesome!!! Kudos to you and those involved for this history lesson that many would never have otherwise been privy to. Thanks. I paid daily attention to Watergate/hearings, read every book after the fact & NEVER KNEW THIS! Marvelous- and so timely now. Thanx RM & crew. I was in grad school during Watergate and was paying close attention to the news. Unfortunately, I was somehow aware of the seriousness of Agnew's crimes. Nobody can connect the dots like Rachel. How I wish Trump's base would hear this! Thank you thank you thank you for this history lesson!! This episode left me breathless. Thanks Rachel. You sure know how to tell the story! BRAVO!!!!! amazing similarities with current events...a criminal in the White House. Thanks for the insight. I live through those time and still learned something new. I hope we learn something new form these times? The words "OH MY GOD" came out of my mouth when Rachel Maddow said the name "Rod Rosenstein". That is unbelievable!!!! 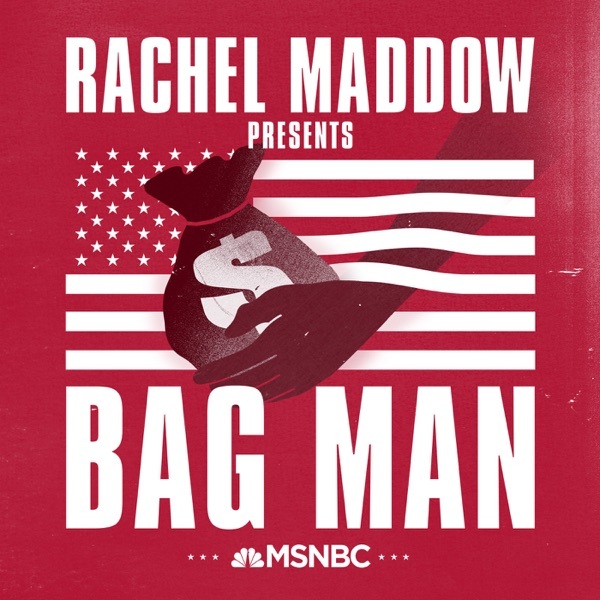 This is the best podcast I think I've ever listened to - thank you Rachel Maddow and you staff!!!!!! Thank you so much. I never stop learning from you. My mouth fell open when I heard " Rod Rosenstein"..whaaat??? ?